It looks fantastic, Jess. What a great idea for showing off your collection. The mirrors make a huge difference! The bottles look fabulous on the black wall. 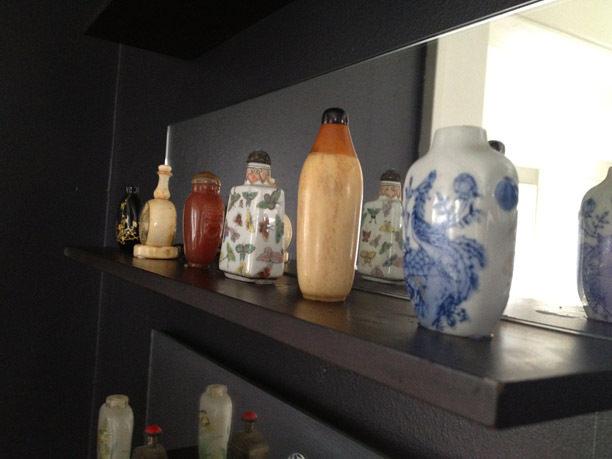 That is really nice snuff bottle collection, I would love to get my hands on a few of those, man if only they could talk. I really like your display ! 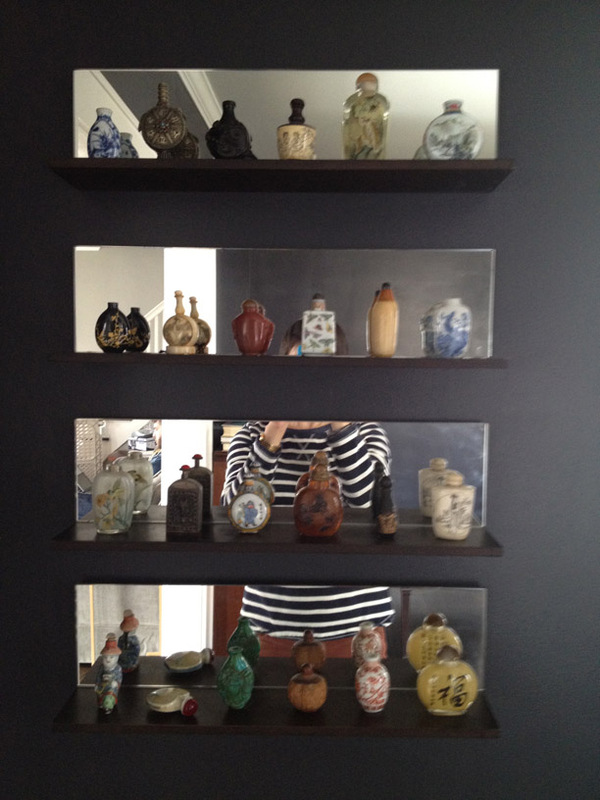 The mirrors sure do help a lot to..
YOu have some wonderful bottles !